Shandong Luke Composite Co., Ltd. It is suited to reinforce and crack-resist to every kinds of cement concrete and mortar, specially used in engineering of building surface, floor, wall etc&hellip;. ( times of 4mm/6mm with 1mm More or less) 1,Auxiliary rei n forced and increase small cracking resistanc e in concrete. 2,Good dispersing,better water affinity, strong linking force, 3,It is suited to reinforce and crack-resist engineering of building surface,floor,wall, etc. 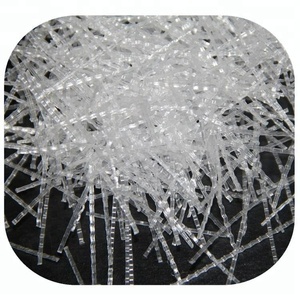 Shandong Federal Fiber Co., Ltd.
Tengzhou Zoolnd Plastics Co., Ltd.
Shandong Tengzhou Huamao Textile Co., Ltd.
Increase cracking resistance on the surface of industrial workshop, warehouse and parking lot. C. 3. Always be honest, never lie to customer, and never declare anything we don't have. If you need scales with your specification, logo, packing, etc, please negotiate with us. These fiber can improve the reinforcement of mortar or concrete performance effectively to make them strong and protect the projects. Suitable Project 1. Spray Concrete: Culvert support, mountain slope protection and other support projects. 2. Basement seepage, reservoir and low pressure water pipes and other projects. Taian City Rui Heng Building Materials Co., Ltd.
Tengzhou Junchi Textile Co., Ltd.
Q: How long is your delivery time9 A: Generally it is 7 days if the goods are in stock. Delivery time depending on your purchasing quantity and production season. Q: What's your delivery way9 A: Express delivery, sea shipping are available for your request. 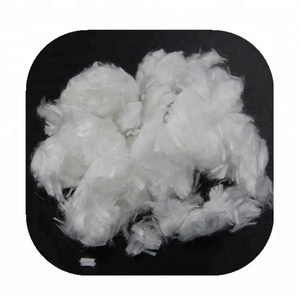 Binzhou Agrok Golden Dragon Plastic Co., Ltd.
Ningyang Bangneng Engineering Materials Co., Ltd.
Shanghai Kaidu Industrial Development Co., Ltd.
Laiwu Yanuo Chemical Co., Ltd.
With polypropylene as its raw material,fiber-mesh is produced by special technology. 4.Suit for any mortar projects and common concrete projects. 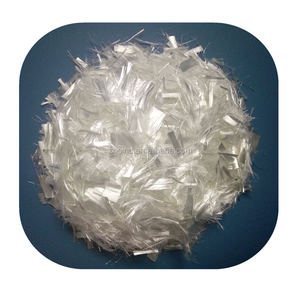 In 2012, we invested a plant specially producing polypropylene staple fiber, good quality but very competitive price. Shandong Dragonintel Biotech Co., Ltd. Instructions 1 the amount of choice Generally, the dosage of each concrete cubic meter of mortar and concrete fiber is 0.7kg/m 3 to 1.0 kg/m 3 . The amount of fiber can be appropriately adjusted according to the changes of sand, stone and cement, but the maximum is 1.5kg/m 3 . 2 construction instructions Feeding sequence and method When using fiber and sand, stone and other aggregates at the same time, add water, wet mix can be. 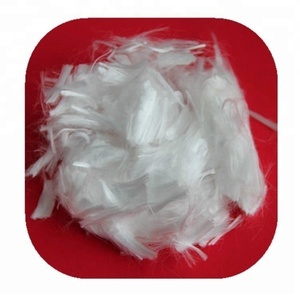 Huimin Taili Chemical Fiber Products Co., Ltd.
Shandong Huimin Jinniu Chemical Fiber Products Co., Ltd.
Hubei Botao Synthetic Fiber Co., Ltd.
Alibaba.com offers 34,639 concrete fiber products. About 32% of these are synthetic fiber, 10% are other fiber, and 8% are metal building materials. A wide variety of concrete fiber options are available to you, such as concrete, filling material, and felt. You can also choose from chemical-resistant, eco-friendly, and abrasion-resistant. As well as from 100% polypropylene, steel, and 100% polyester. And whether concrete fiber is raw, bleached, or non-siliconized. There are 34,192 concrete fiber suppliers, mainly located in Asia. The top supplying countries are China (Mainland), Kenya, and Philippines, which supply 90%, 2%, and 1% of concrete fiber respectively. 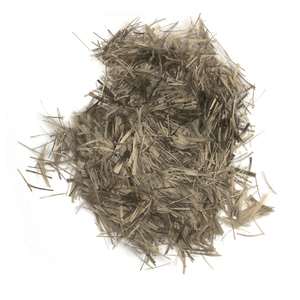 Concrete fiber products are most popular in Domestic Market, North America, and Southeast Asia. You can ensure product safety by selecting from certified suppliers, including 13,625 with ISO9001, 7,428 with Other, and 4,343 with ISO14001 certification.